Cake Smash photography session. 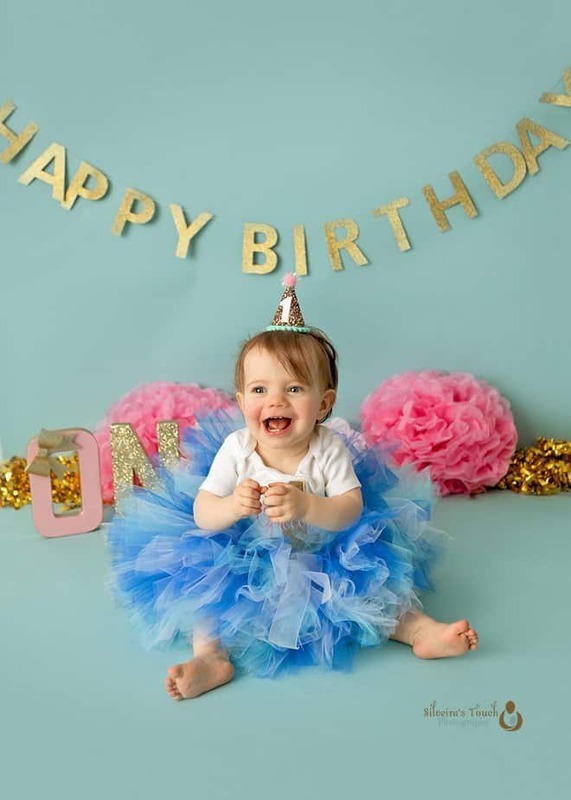 As a Succasunna NJ Cake smash photographer, I look forward to creating a beautiful session for my little clients. Gracie has been in my studio several times this past year, counting her Newborn photos. 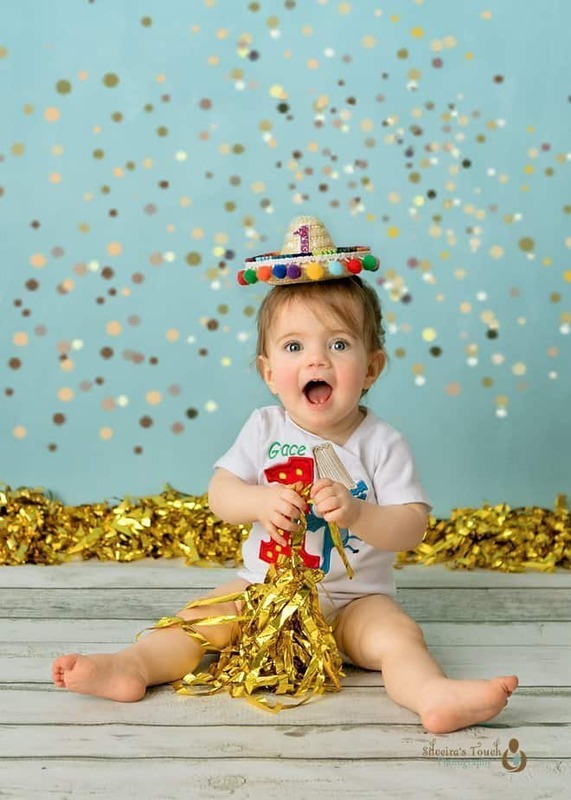 For her one year portraits, She arrived ready to have fun! 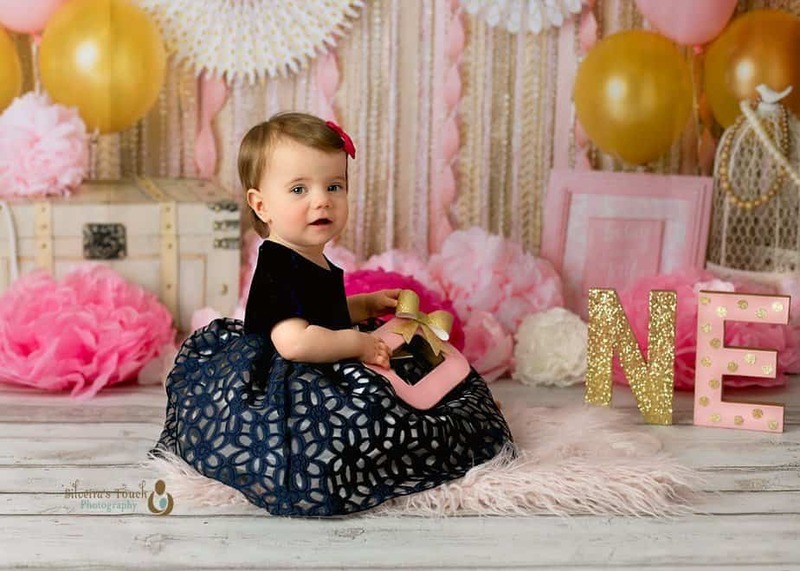 We started her cake smash photography session with a beautiful pink and gold backdrop from Baby dreams, that complimented her gorgeous blue dress and eyes. After a few shots in the pink and gold backdrop, we changed to a simple blue backdrop. It complimented her beautiful eyes and blue tutu. I think she loved it. 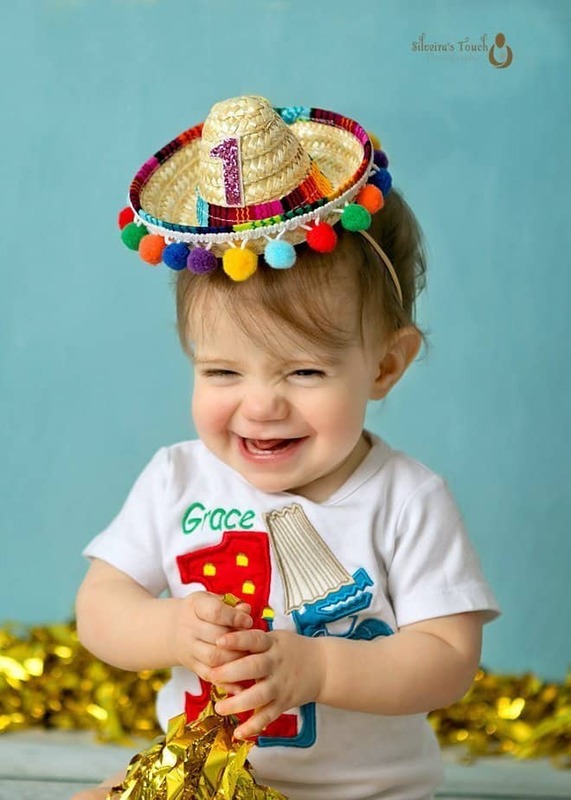 After having a taste of her delicious cake it was fiesta time! 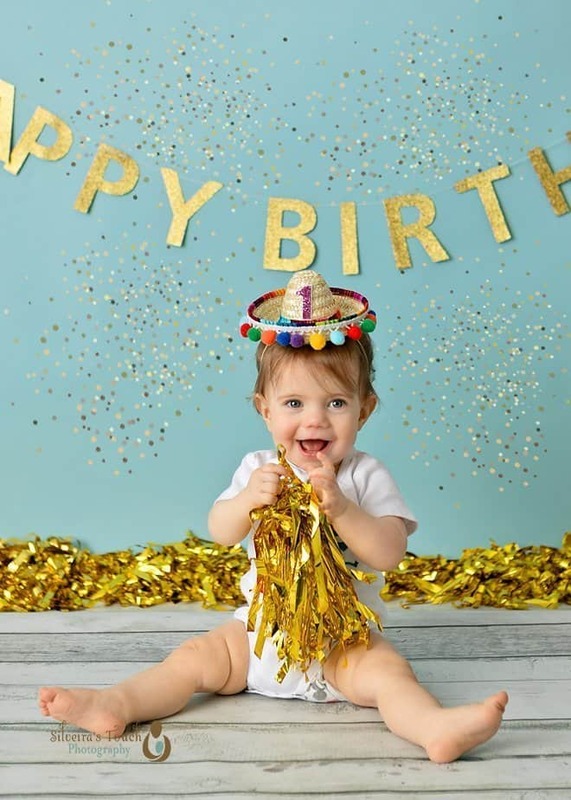 We put on her Fiesta hat, she just giggled as we did. 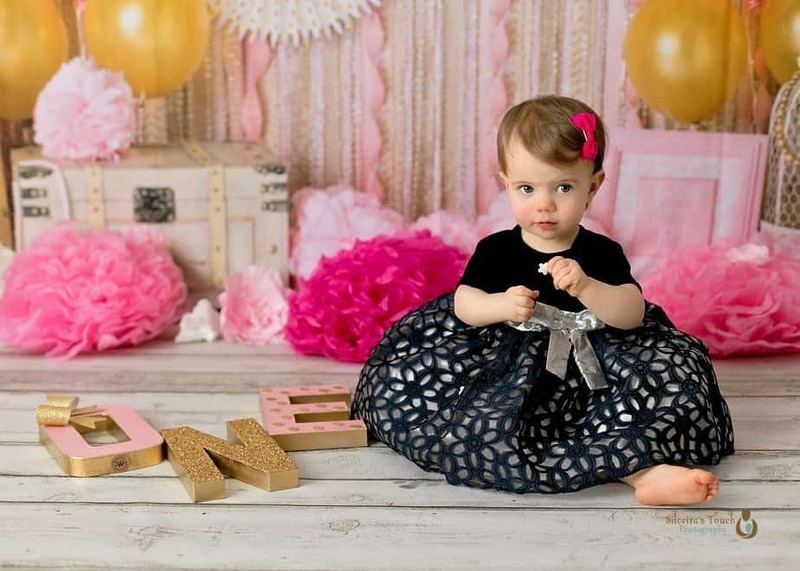 Capturing her Birthday Cake smash photography session was so much fun, not just for Gracie, but for me as well. 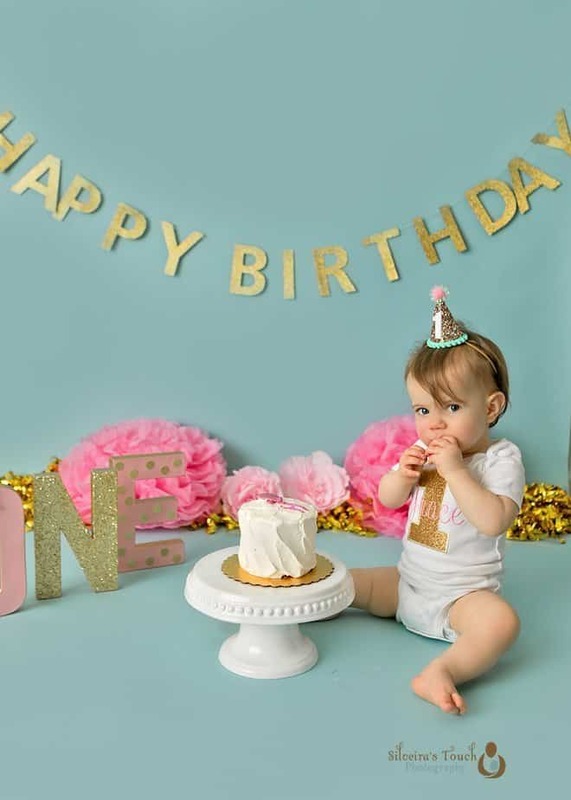 If you’re looking to photograph your special baby Cake smash session, contact us. 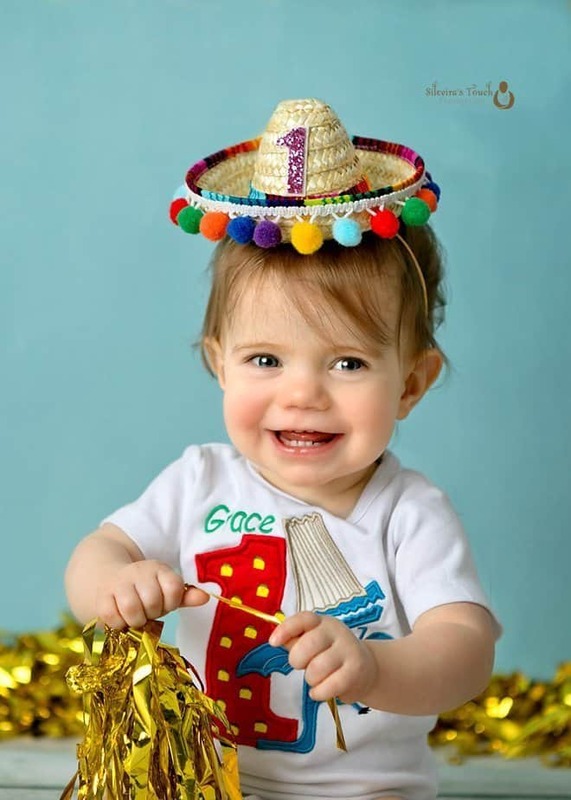 Doesn’t Gracie make you smile? Her Succasunna NJ Cake Smash session has become a memorable moment in their lives.